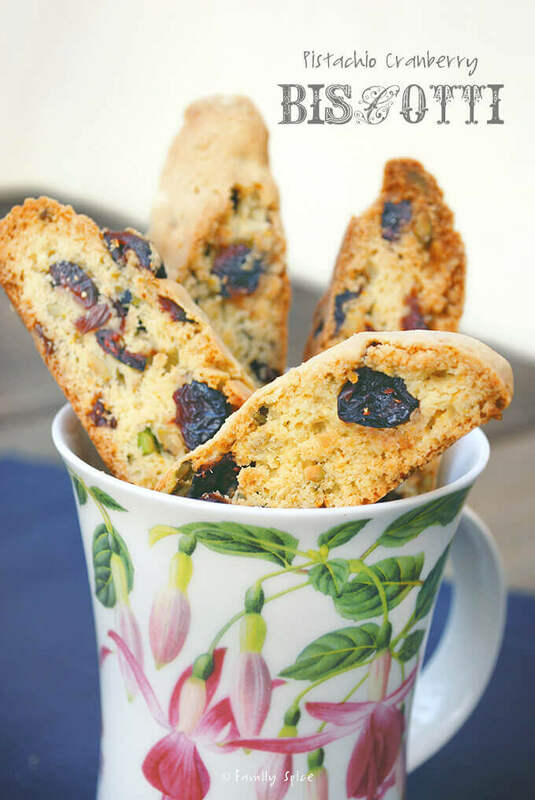 Pistachio Cranberry Biscotti and Macadamia Nuts: This traditional Italian “cookie” is meant to be dry and dunked in your hot coffee or tea. I think we need a break from all these sweets! I have been busy baking other goodies for school, friends and family. I can’t seem to get away from the kitchen. Good thing that Santa is bringing me new appliances as I have truly beaten down my stove top and ovens! Until they arrive, I will keep baking and cooking. 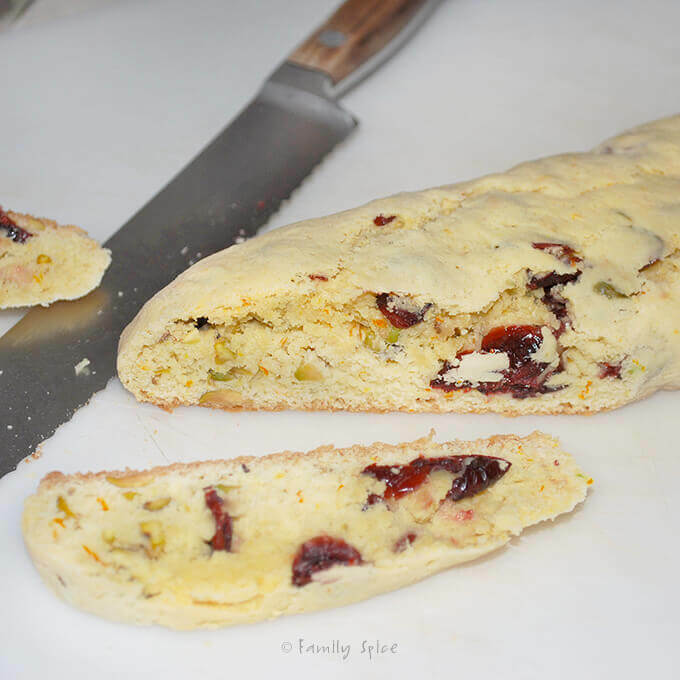 Since I featured a chocolate biscotti last week, this week I will feature a different biscotti flavor combo: Pistachio Cranberry Biscotti. These were made for a good friend’s birthday. I bought her that pretty mug and filled it up with these wonderful biscotti’s. 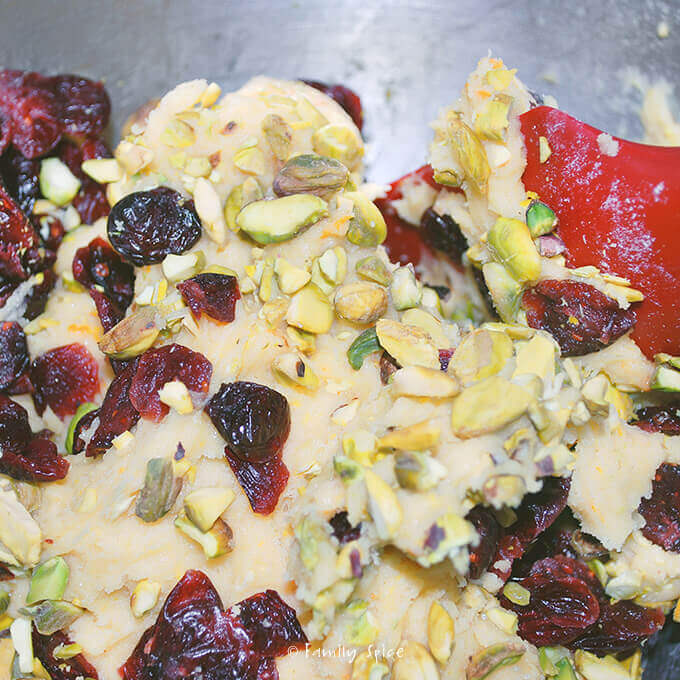 They are very festive for the holiday with the red cranberries, green pistachios and flavored with orange zest. 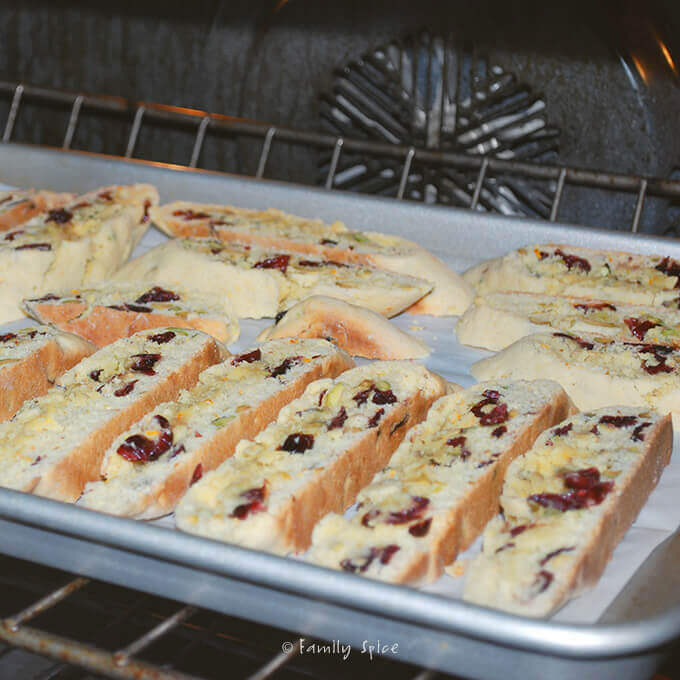 My friend loved them and they were rather simple to make, as most biscotti recipes are. 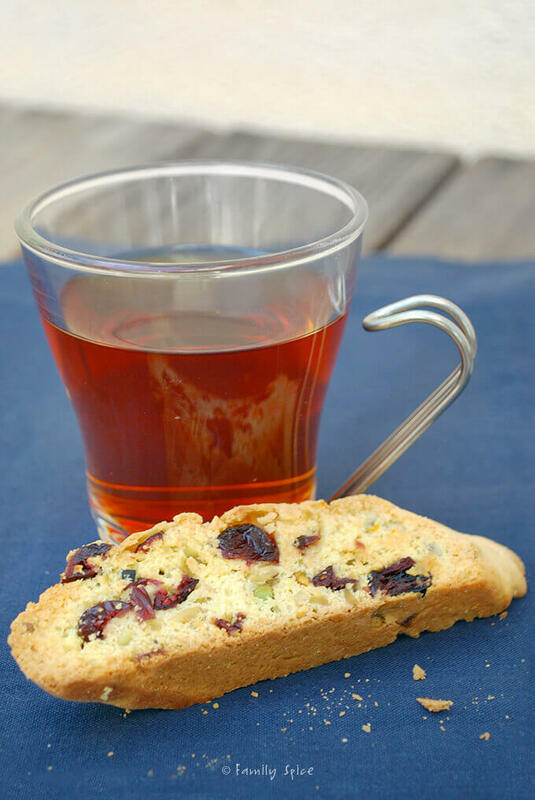 I’m really getting into biscotti, probably because I love dunking them in my morning tea. They also remind me of scones, except dryer and like scones, they are not super sweet. I like to have a touch of something sweet with my tea. The beauty of biscotti is that they are twice baked “cookies” and don’t require a lot of fuss. The cranberries and pistachios are the jewels that make them so pretty. Once they are baked in loaves, you slice them up and toast them in the oven again. See? I told you they were perfect with a cup of tea! 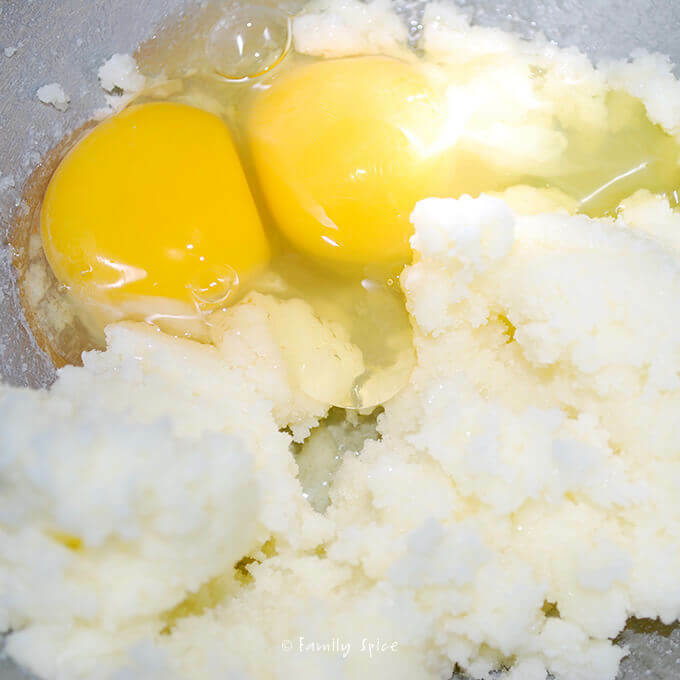 On low speed, whisk in one-half of the flour mixture into the egg mixture. 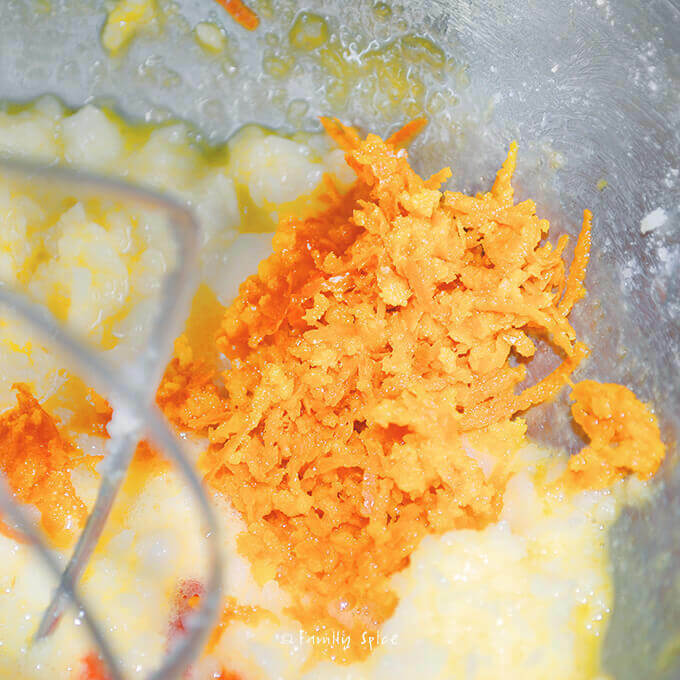 Using a scraper, stir in the remaining flour mixture and mix well. 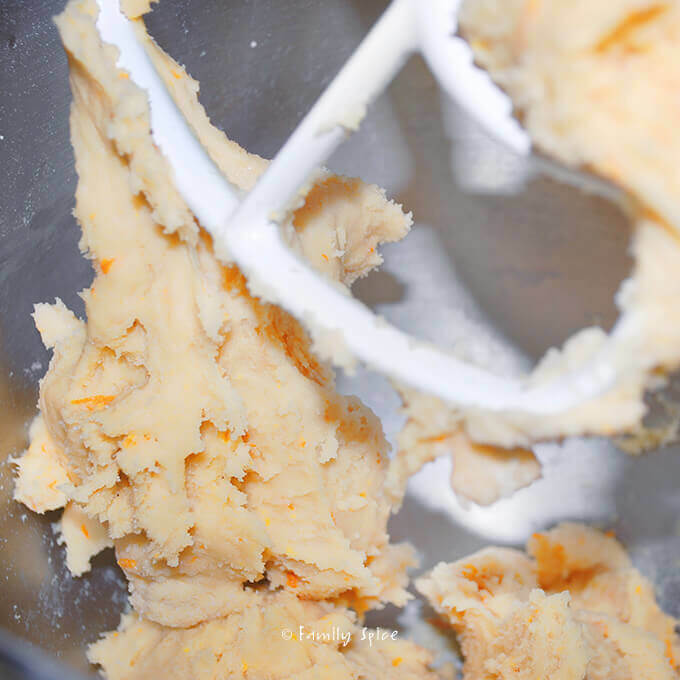 Turn the dough on the surface and knead the dough for a few minutes. Shape each portion into a log about 14 inches long and 2 inches wide. 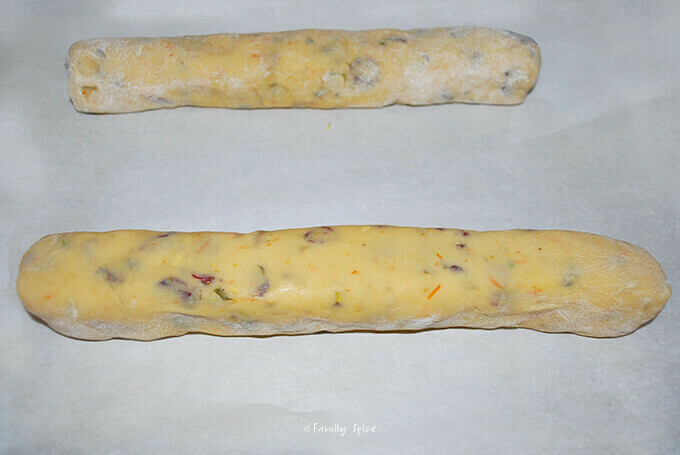 Place both logs 3-inches apart on a baking sheet lined with parchment paper or silicone baking mat. Bake for 30 minutes or until golden and firm to the touch. Using a serrated knife, slice the bread diagonally into 1/2-inch slices. Place the slices on the baking sheet. Bake for 9 minutes turn cookies over then bake an additional 12 minutes. 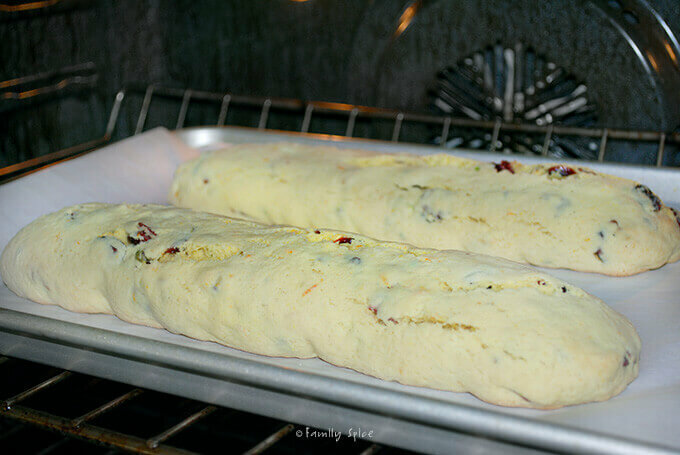 Remove from the oven and cool completely a second time on a cooling rack. Serving Suggestions: Change it up and use your favorite nut and dried fruit combination. Oh I just love homemade biscotti! It's so much lighter and more flavor than that cardboard you gt at a coffee shop. This sounds awesome!